← If you thought I was going to leave the Kanye West “Bible” subject alone, then you might also believe Tupac is at my house. File this in the Men Are From Mars, Women Are From Venus column. There’s no way around it: men and women are on completely different frequencies, when asked to perform the calculus of everyday decision-making conundrums. So I’m sitting in the living room the other day, working on the prototype video in Adobe After Effects. My wife, who had just gone on a major purging mission in the garage, walks through to get something to drink. And, as she always does, she offers me something too. Let me just tell you now, men. This is not sufficient. This is—from what I now understand—a provocation; the rhetorical equivalent to wearing a red jump-suit in Pampalona, Spain, when it’s time for the “let’s get ourselves gored by a raging bull” festival. “You’re doing it to me again, “she says. · Pick the Kombucha and shut up. · Say no to the Kombucha. Now, that last one will also land me in the same trouble, because she will immediately say “You don’t like Kombucha? What else would you like, then?” forcing me to the side of the cognitive road I was trying to not to exit. “I’m hungry, and feel like eating out tonight. How about you?” She says. “Where would like to eat?” she asks. · I feel like eating out. I’m of the opinion that this is not a fixable sector on the matrimonial hard drive. I’m thinking this is somehow a hard-written bit of code in the Windows, Vista, Wife Edition. And, as with all computer options that have no effective work around around, update or technological patch, you do what any good tech would do. Pick the Kombucha and shut up. This entry was posted in Entertainment, Uncategorized and tagged battle, kombucha, marriage, Mars, men, sexes, venus, women. Bookmark the permalink. 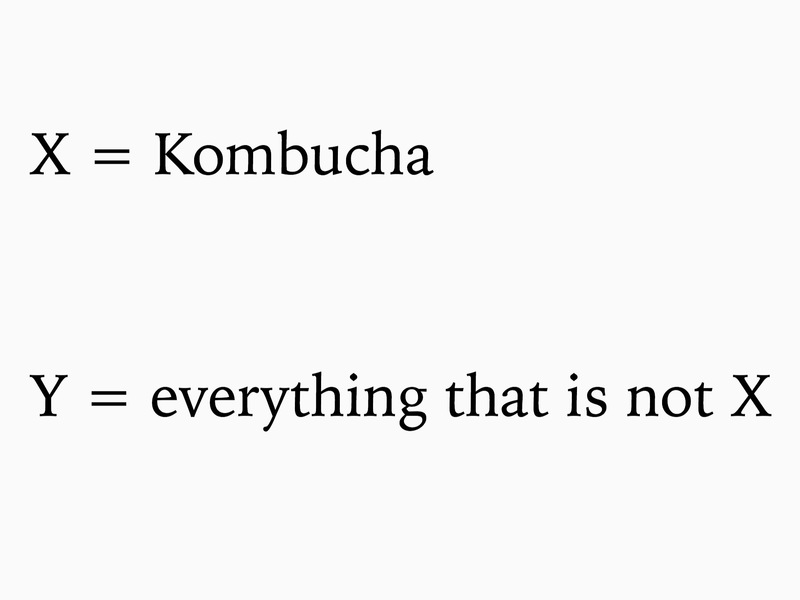 18 Responses to Just pick the Kombucha. As a guy, I think Ron’s reinterpretation of your words was qualitatively equal to what you quoted as his actual words. Guys are not real good at hearing what their wives actually said. I see this often in marriage counseling. In his mind, either answer is going to be the same. It doesn’t matter what you give him, as long as you give him something. Now, if he complains after you have gone to the work to get him “anything” for a drink, then it is time to zero in on what he actually means. That, or inform him he can get his own drink. 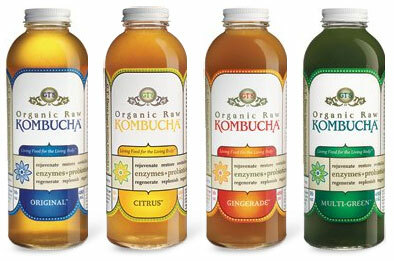 I like kombucha, preferring the ginger flavor or the combination ginger-berry flavor. Oh it’s equal. Like I was trying to say–I’m on the CB radio over here, trying to broadcast, and she’s over there on sideband–I can hear her, but my recollections of what was said are going to be disputed. So, not only are we at cross purposes over the content of what it is I am quoting, now we are disputing the veracity of the accuracy of my quotes. Quod Erat Demonstratum: my larger point is made, even if all my little rhetorical chess men have been captured by my wife. Consider it my own little “scorched earth” approach to rescuing the issue. I sent the link to this post to my daughter, Helene, and my friend Stuart, and suggested they weigh in. I think we should get some equal representation from Mars and Venus. I’d give a synopsis of my approach to marriage counseling, but that would look more like a long blog post than a comment. I doubt I could even pronounce Kombucha correctly, so I would never offer that to you–or anyone. If I were to ask if you wanted something to drink, I would say: “Hey, I’m getting a drink, you want something?” And depending on whether you answered “yes” or “no” would determine whether further input was required. However, I happen to be married to a Mars and I’ve learned to not ask. If he’s involved in something, he’s likely to not even hear my initial question. And I figure he’s pretty capable of getting his own Kombucha if he wants it. It is frustrating when someone says “just give me anything.” The possibilities are endless and I am immediately tempted to prank them by giving them something they did not intend, like white vinegar diluted with water (it looks like water to the unsuspecting victim and, if they don’t take the time to smell it, results in highly entertaining reactions). But, as long as they don’t complain about what was given to them, the matter will then be at an end. However, I agree: guys do have difficulty listening–but, since I do as well, I cannot stand in judgement (which is difficult since I am unfortunately prone to stereotyping). Also, what is the accepted protocol for commenting on older posts? How old is too old? I’m new to this whole blog thang (sic). And then, this afternoon occurred. Based on my concern for a “proper” green garbage pick-up tomorrow morning I interupted Mars-man during his attempt to patch his Final Cut Pro app. “Hey, will you please take a break in a little bit and go make those branches I cut off Saturday fit better in the green cans? The trash guys come in the morning and they won’t take them like that. I got so scratched up trimming them I don’t want to mess with them again.” He looks up at me from the couch and adjusts his blurred vision asking, “What was that?” I repeat the request. M-m says, “Why not?” My wisdom tells me he’s asking particularly about the garbage guys not taking the overfilled cans so I explain how the lids don’t begin to close, what with the twigs and sticks shooting out of the opening of the green can so bad that the birch twigs need to be cut up smaller, or maybe a big piece of cardboard could be put on top of the mess and our girl could get up on it and smoosh it all in and down, but then I’m afraid the bundle of birch twigs and tiny limbs would get impacted and won’t come out at all. Or maybe it’s best that he just cut ’em up with the pruning shears a bit so the don’t get stuck instead of dumped out. I received an ” OK.” We actually had an effective conversation! It was so revitalizing. I like ginger kombucha, too. At no time, in my little screed above, did I ever try to lay claim to being a charter member of Yoda’s Swamp and X-Wing Jedi Multitasking School. The only thing I can do with regards to that is play a guitar and sing at the same time. Beyond that, I am a worthless broker of organizational goals. Having a rare-earth magnet in proximity to my cognitive hard-drive in no way negates the fact that leaving the Kombucha equivoque hanging in the air is a rhetorical sin in my house. Reading the last two comments remind me of a phrase I use in therapy from time to time – “It’s complicated.” It doesn’t actually solve anything, but it can lend itself to a moment of empathetic attunement – especially if one follows the comment up by a long silence made possible by neither person knowing what else to say. I think your wife should start a blog, or at the very least be a guest blogger on your blog. She writes well, and she is funny. PS – Helene talks that way [how she writes] in real life, too. Not quite sure what happened when my 23 chromosomes joined with my wife’s 23 chromosomes. Neither of us talks like that. It must be the gazillion books she has read since she could first started years ago. In the summer I like to go to downtown Burlington, on the Marketplace, and order a kombucha [not sure if I know how to pronounce it either] fresh on tap at Uncommon Grounds coffee shop. Since it comes unflavored, I mix three-quarters kombucha with one-quarter ginger flavoring they have for other drinks. I then go to the outdoor seating and slow drink it while watching the people go by and contemplate the existential realities of life. I also watch weirdos go by [no lack in Burlington] conscious of the fact that “weird” is subjective [to a point] and that I am probably a “weirdo” to those I am silently passing judgment on while I sip my ginger kombucha. It’s a wonderful life. Should “kombucha” start with a capital letter? You’ve got me thinking. I’ve seen coffee shops of independent origin with names exactly like that. I think I’m going to write an article, cogitating the names of coffee shops I might start. Nicole has a blog–sort of. She bought the url, and basically stopped there. yes, she is a very funny writer–she has her own independent, acerbic wit (as anyone can see here), but her motivations for writing are entirely different than mine. She needs focus, and definitive goals. I have the need to be the indiscriminate shooter. No idea on the name. I only actually drink it when presented, but I love making it all sound like it’s an alcoholic drink to the sanctimonious around me that do drink it regularly–because quite frankly, I doubt the alcoholic version tastes much different. I’m not that far removed from my erudite swilling of Watney’s Red Barrel that I don’t remember what beer tastes like. Anyway. I have no idea what benefits it has, or what. I just know it’s a nice diversion from coffee–which I tend to oversaturate in. Oh,and as far as “weird” goes. You should talk to the kid I booked in yesterday that took the brunt of my Stream-of-consciousness comedy act with the biggest words I know—“writing on my feet”, as they say. And trust me. I also talk like I write. The only difference is, I at least get to think a bit before the writing is exposed to the world. My mouth runs on a different ethos, apparently. Ron, Ron, Ron. You get my vote for “funniest person on the planet.” And your wife gets my vote for person on the planet most in need of supportive prayers! 😉 I’m laughing so hard right now, reading all these comments. This line by your wife nearly made me crack a rib: “90 minutes later M-m gets his shoes on, walks out towards the driveway, looks at the overfilled can, stops in his tracks, turns to me with a confused face and asks, “What do you want me to do out here?”’ I swear, the selective hearing of the male species is akin to a hound with its nose to the ground – nose turns on, ears turn off. LOL! So the kombucha I get off the tap looks pretty much like a beer. Since they serve it in an opaque plastic cup, it is reminiscent of buying a beer at some concert or attending a keg party. There is alcohol in kombucha from the fermentation process, though I think the store brands are under 0.5 percent. Thinking up names for a coffee shop would be a great blog. Down the street from Uncommon Grounds is another place called Muddy Waters. That’s a pretty good place to get coffee too. I tend to over-saturate in coffee, as well. I’m sure all of it has some degree of alcoholic content. But again, I’m not even sure why I drink it. But, I guess whatever it was I was drinking restored whatever it was he was talking about. Ron’s wife had pretty much taxed her thyroid gland cleaning out the garage, and set off to get a drink, passing Ron on the way to the frig. She had Kombucha on her mind, so she offers Ron one, too, even though she is exhausted at this point. But as an afterthought, mid-sentence, she offers, “Or would you like something else,” which in wifespeak means it had darn well better be a Kombucha because she has cleaned out the garage which is a task more suited for a husband, who chose instead to fiddle around on the computer. “Kombucha would be wonderful Darling,” is the best response here. 1. You appreciate her working hard to clean out your garage. 2. You still find her appealing, even though she is sweating profusely at this moment. 3. You are not willing to argue, but appreciate her sweet gesture instead. So, Ron, if you haven’t gotten a clue at this point, when this situation happens again, do this: jump up and race past her, grab two cold Kombuchas, open them, hand your wife one, and lead her in a wild, erratic tango around the living room.